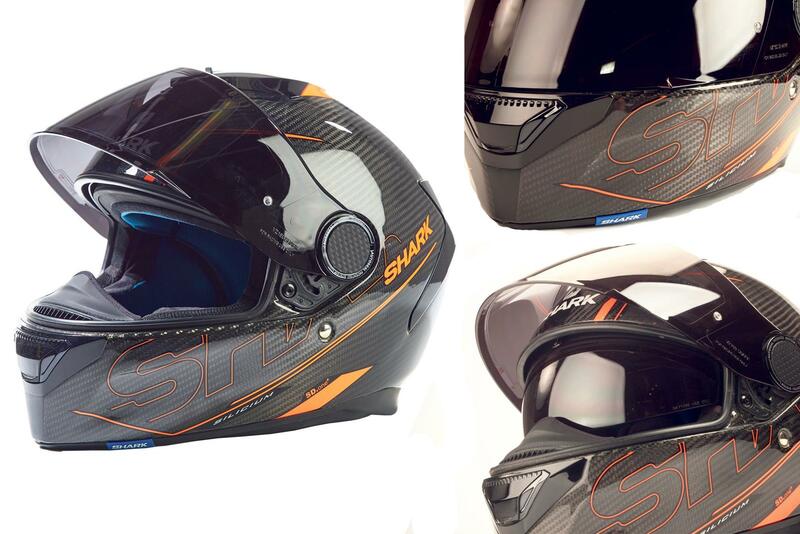 MCN Deputy Editor Richard Newland tested this Shark Spartan Carbon helmet (£389.99) over three months covering 3800 miles. What’s good? This new Spartan Carbon Silicium DOA, to give it its full name, is seriously impressive. I’ve worn Shark’s Race-R for several years, as well as using their Explore-R, and like both but the Spartan trumps them for comfort, usability and fit. It’s very well priced, too. The quality of the lacquered carbon is lovely, and at 1290g it feels noticeably light. As you’d expect, the lining is removable and washable, the closure is a double D-ring, and the strap end secures with a popper. The visor is anti-scratch, and comes with a MaxVision Pinlock insert – which has been faultless in use. The clear visor is backed up with a very effective drop-down visor operated via a slider on the top of the helmet. There’s also an effective pull-down chin guard to banish draughts, and the chin and brow vents do a decent job of adding airflow when desired. I also use a £49.99 fully tinted visor, helped by the superbly easy-to-use visor system. The lining is plush and comfortable, and even after a full day in the saddle, there’s never any sense that I don’t want to put it back on. What’s not? The niggles are very minor. I’d like a proper visor closure to clamp the visor firmly shut to keep moisture out, and prevent unwanted openings and whistles. The drop-down visor would benefit from an anti-fog coating. And that’s it.